Sad news for L.A. Guns fans and M3 Rock Festival attendees in general as the sleaze rock veterans have announced that they are unable to perform at the festival’s 2018 edition to be held at the Merriweather Pavillion in Columbia, Maryland, USA on May 4 and 5, 2018. No reasons have been given why L.A. Guns are unable to perform anymore. No replacement for L.A. Guns has yet to be announced. LOS ANGELES, CA (April 13, 2018) – We regret to inform you that L.A. 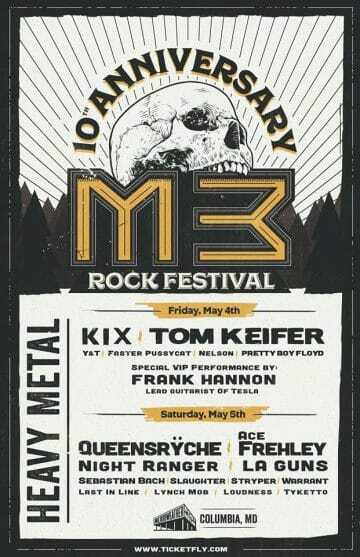 Guns will not be able to perform at the M3 Rock Festival this year. There have been rumors swirling, and they are simply not true. We love M3 and have performed 7 of the past 10 years. We would love to come back next year and perform at the M3 Rock Festival 2019. Metal Sludge reported yesterday that L.A. Guns have apparently opted not to play the M3 Rock Festival given that only one stage is being used instead of two as originally planned meaning that the group is playing at a different time slot than previously agreed upon.